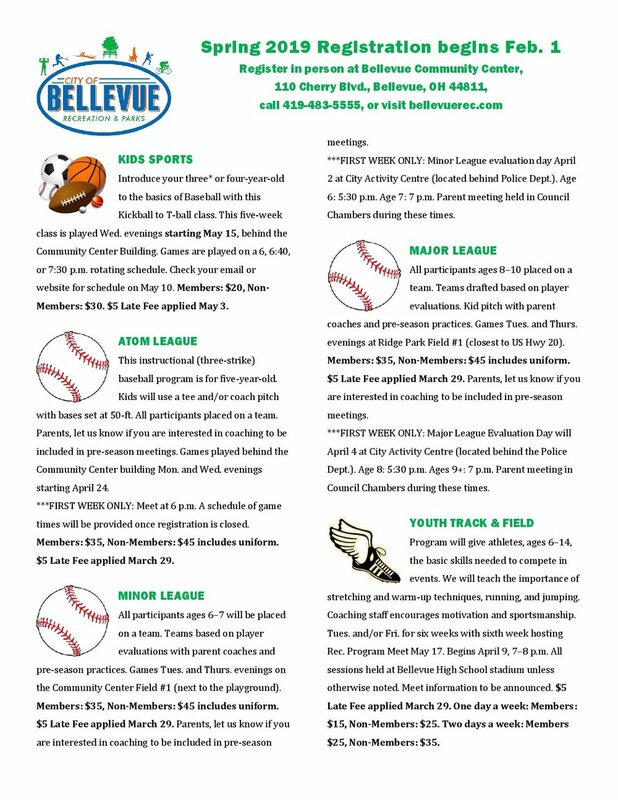 Board meetings for the Bellevue Recreation Department are held the first Monday of every month at 7 p.m. at the Bellevue Community Center. Meetings are open to the public. Click on the JOBS tab above and check out our opportunities. There have been numerous questions regarding Silver Sneakers and the decision by UnitedHealthcare and the AARP Supplement to no longer offer that program to its members. The Bellevue Community Center will proudly continue offering Silver Sneakers to the many that still qualify. For those that do not, we will be a participating location with Renew Active and the AARP Supplement Program that UnitedHealthcare has adopted as a replacement. These are two different programs depending on which UnitedHealthcare/AARP supplemental insurance plan you have. The Renew Active program will operate very similarly to Silver Sneakers. It has no additional out-of-pocket cost for the member. The AARP Supplement Program will have an out-of-pocket cost of 50% of the regular monthly membership fee. At our facility, this will be $10/month. We also will continue to offer our regular senior memberships for those without these supplemental insurance programs. This can be a confusing topic, so please feel free to reach out to the Community Center staff with questions. We are excited to announce that beginning in January 2019, all seniors with any membership to the Bellevue Community Center will have access to our senior fitness class and aquatics aerobics class at no additional charge. 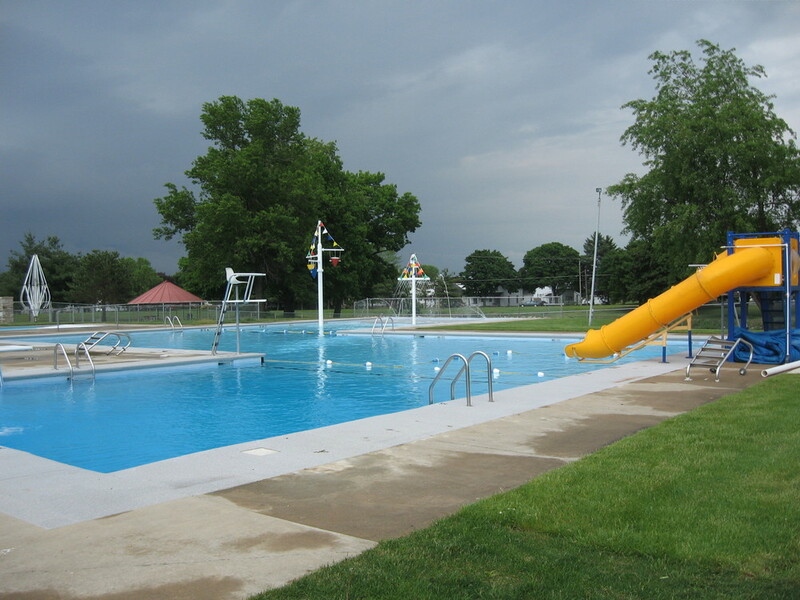 The Bellevue Rec. Department feels that maintaining an active lifestyle is an important part of the aging process. For more information, please call 419-483-5555. Another exciting season of programs for our youth are coming up! We are also trying to finalize sponsors for our activities. The sponsor fee this year will be $125. This money is used to buy 12 team t-shirts with the sponsor logo on them. The sponsor’s name is also used in any press releases. It is organizations such as yours that enable our Department to add quality to our programs and give the young athletes a sense of being part of a team, yet still be affordable to both our Department and the participants involved. Please call the Rec. Dept. at 419-483-5555 if you have any questions concerning sponsorship. Check out our new Fitness On Demand area! See the Community Center Front Desk for more information or a demonstration.